Alpensia’s a tiny ski hill with just 3 chairlifts and 6 runs down 160m of vert. To be honest, if you’re looking for Gangwon-do’s best skiing, it isn’t at Alpensia… it is a good choice for beginners though, as the gentle terrain and small size make it suitable for learning. 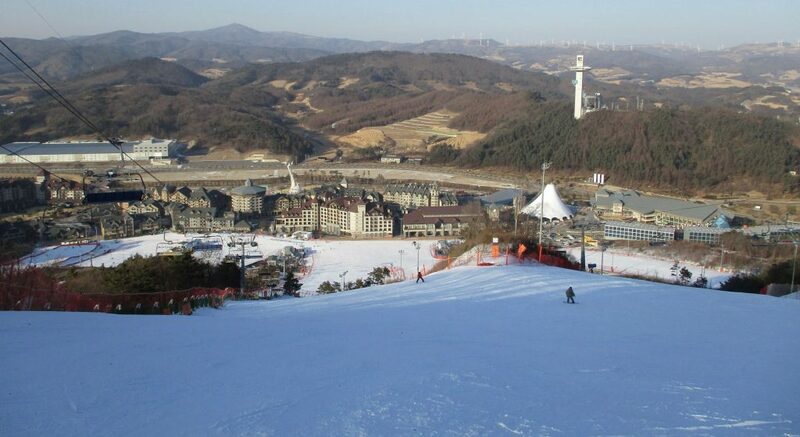 It’s also a much newer resort than Yongpyong, with modern accommodation and better base facilities. So, if you’re looking for a family holiday in the snow and want to try some skiing lessons while youre there, Alpensia is a good choice. 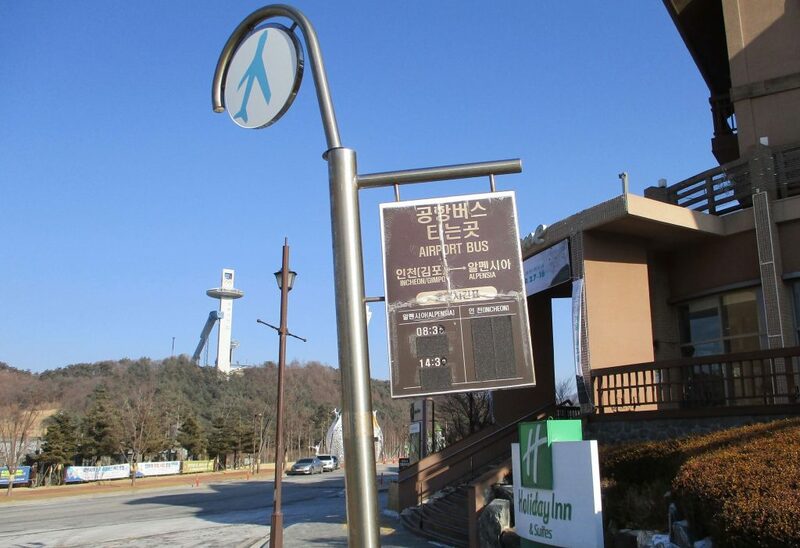 Serious skiers should head to Yongpyong, High1, or Phoenix Park instead. Seems to me that Alpensia would almost certainly fail as a business if it were only about the ski slopes on offer – there’s no way it can match its larger neighbour. It’s more of an upmarket year-round leisure resort which offers skiing in winter and golf in summer. Now that it’s served its intended purpose as the centrepiece of the Pyeongchang Olympics, it’ll be interesting to see what happens with Alpensia going forwards – it was already rumoured to be in financial difficulty prior to the successful Olympics bid, and with the provincial and national governments at loggerheads over who should pay for the maintenance (or demolition) of the probably-seldom-used Olympic facilities one suspects Alpensia may frequently have the term ‘white elephant’ applied to it over the next few years. Alpensia lift tickets follow the usual basic pattern, with time slots of morning, afternoon, and night, as shown here (it closes earlier than most Korean resorts, at 10pm). Alpensia lift tickets are slightly cheaper than Yongpyong lift tickets, so if you’re just looking for somewhere to take lessons Alpensia is therefore the better choice. For those who can already ride, Yongpyong is far better value. If you need rentals, lift ticket, lessons etc, then the easiest way is to book a package including all that plus transportation, see here (or here with accommodation). To travel there independently, the most convenient way is to use the direct shuttle buses from Seoul; these are privately operated and require advance reservation, take 2.5 hours, and cost around 20,000 won. See here for schedules & booking; they can also arrange direct private transfers from the airport. Alternatively, you can take public buses from Seoul’s Nambu Terminal or Dong Seoul Terminal to Hoenggye Bus Terminal (in Daegwallyeong), and a local bus or taxi from there (3 hours plus, all in); for the local bus schedule see this page on Yongpyong’s site (scroll down), this bus does an infrequent loop from town to Yongpyong to Alpensia and back to town. You can pay for the bus using a T-Money card if you have one. The private shuttles are way more convenient, and well-worth the extra 5 dollars or so. The Gangneung KTX bullet train started service in late 2017 and calls at Jinbu Station, about 90 minutes journey time from Seoul Station for 22,000 won. There’s a free shuttle bus from Jinbu to Yongpyong which stops at Alpensia (see here); it’s only for guests of Yongpyong & Alpensia and you’re supposed to show a reservation receipt or Yongpyong Resort card to board, however when I rode it from Alpensia to Jinbu Station after skiing at Alpensia I could just board without showing anything. I was dressed in snowboard gear so had obviously been riding that day, and the Yongpyong front desk also said the shuttle was available to skiing-only guests as well as actual accommodation guests, so its not 100% clear really; I’m not sure how strictly they check reservations when going the other way from Jinbu to the resorts. If you can’t board the bus or don’t want to wait for it you can expect to pay about 20,000 won by taxi. Train tickets: you can easily buy tickets on the day from the ticket counters & machines at railway stations, but trains do sell out (especially during peak hours & on holidays) so if you want to be sure of a seat on a specific train it’s better to book in advance. Again you can do this in person by visiting a station, or you can try booking online on the official Korail site; depending on your browser or your credit/bank card it may not work for you, in which case try Trip.com for a more international-friendly and generally more user-friendly experience (usually for a small markup e.g. markup on a Seoul-Pyeongchang ticket is just a dollar or so, but prices are sometimes actually lower on Trip). Any questions about Alpensia? Leave a comment below and I’ll get back to you. Hi how can I book for skiing lessons? We have 4 adults and 1 child seeking to learn to ski (3) and snowboard (2). We are staying at Intercontinental hotel. 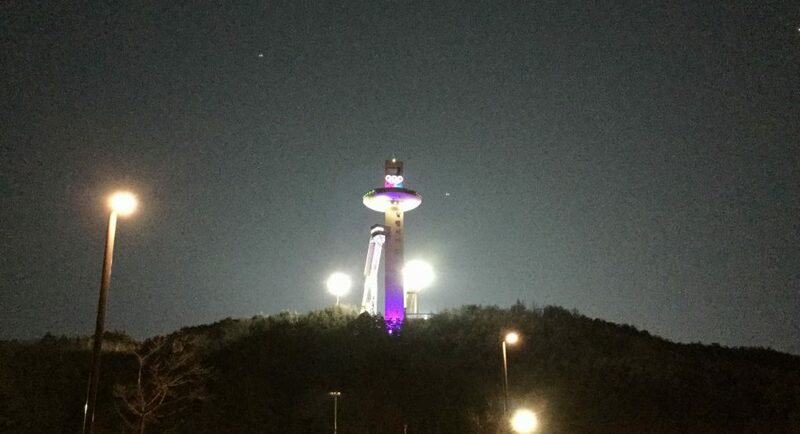 Secondly is it advisable to drive from Seoul to Pyeongchang? We are from Singapore. Yes you could drive it, or you could also take the KTX bullet train (see here) to Jinbu Station (90 minutes) and the shuttle bus from there (20 minutes, free for resort guests). 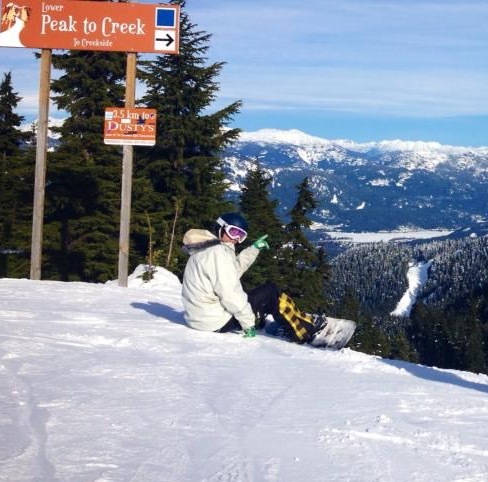 To book ski lessons you just need to go to the ski school counter at the resort. Hi..we’re travelling to Korea on 3-11 Feb. When do you suggest is the best time to go skiing there? And since there are no more hotels, is it ok to get Airbnb instead outside tye resort? Will there be shuttles to go to the resort? Thank you! When would be the end of the ski season? I am planning to go in early March. Hi Joshua, Alpensia usually closes around that time. 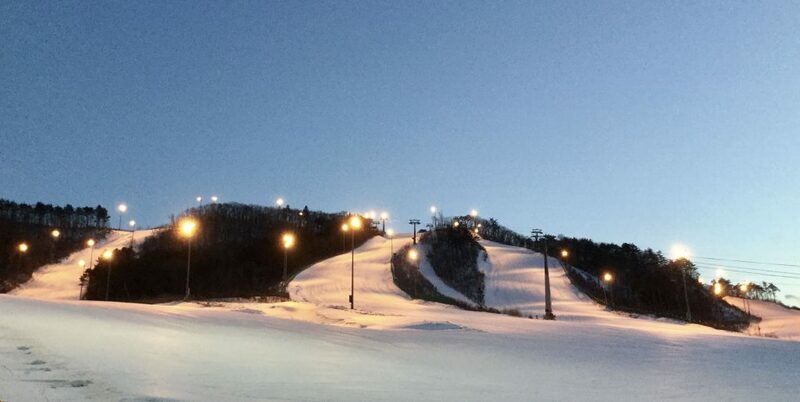 Would be better to plan for Yongpyong, it’s very close to Alpensia but is much higher so can stay open longer. I have planed to go to Alpensia Ski resort between Feb 14-18. Can I ski at that time? Can I take ski lessons at Alpensia Ski resort during Feb 14-18? Which website that I can book ski lesson in advance? Hi Yao, yes you can ski then, and you don’t need to book lessons in advance – just go the ski school counter when you get there. Enjoy! Hi. I plan to go to Alpensia Ski Resort on 13th February. 1)if I book a stay in Intercontinental Hotel, do I still need to buy the administrative ticket and lift pass to ski? 2) what time till what time is the Afternoon Pass? Not sure what you mean by administrative ticket? If you mean like a general entry ticket, there isn’t anything like that. But yes you’ll still need to buy a lift pass to use the chairlifts, and afternoon tickets are 12:30 to 16:30. May I ask is there any entrance fee to Alpensia Ski Resort? I am visiting Alpensia, staying at intercontinental hotel on Feb 5 with two young kids. May I know if snowsledging is available at Alpensia ? My partner and I are looking at Alpensia from 28th Feb – 4th Mar …. reading above, it looks like it will close around this time. We looked at this resort area as we are both Novices on the snow …. Yongpyong you have said is close, are there transfers available from the Intercontinental in Alpensia to Yongpyong or would you recommend staying in YP instead? There is a shuttle bus doing Yongpyong-Alpensia-Jinbu KTX station, but it only runs every couple of hours (timed for the KTX trains) and it stops on Feb 28th. There’s also a local bus, but if you check the schedule here (bottom of page) you can see it’s not much use! Usually 28th Feb – March 4th should be fine at Alpensia, but yes there’s a chance they could close which would mean you’d need to take taxis to Yongpyong. You could risk it, or just book Yongpyong instead – your call! Alpensia’s newer and the Intercontinental’s nicer than the accommodation at Yongpyong; both hills are fine for learning on (Yongpyong’s pretty big, but has good beginner areas too). Give me a shout if you have any more questions. Cheers! Am going to Alpensia this 12 Feb with my 23 months baby. Just wondering if he can play the sledding slope? Just wonder if I bring my 4-year old boy there from March 14th to 16th, will the sledding slope still open? If so, will there be areas that he can have fun with snow? Also, how much will taxi cost from Jinbu KTX? A taxi would be around 20 dollars and takes 15 minutes. However I think it’s unlikely that Alpensia will still be open by March 14th. There’s a better chance of Yongpyong being open then, but to be honest this season hasn’t been good and I think the resorts may all be closed before the 14th unfortunately. If you check again in a couple of weeks we might know the closing dates by then. Hi sir, u think yongpyong sledding area still open on the 20th march? Planning to go there. Thanks for your help. What else can we do at yongpyong if sled area is close? U think snow still there to see? Hi Ahmad, I’m afraid it’s unlikely it’ll still be open, but if you get a sightseeing ticket to go up the gondola you should still be able to see some snow at the top.